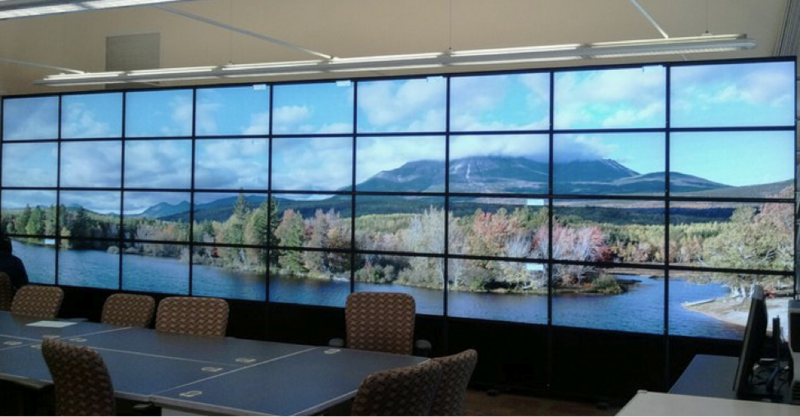 Developed by Texas Advanced Computer Center, DisplayCluster is a software environment for interactively driving large-scale tiled displays. The software allows users to interactively view media such as high-resolution imagery and video, as well as stream content from remote sources such as laptops / desktops. Once launched, imagery and movie content can be opened using the Open Content dialog. Entire directories of content can be opened and shown in a grid layout using the Open Contents Directory dialog. State files representing all of the currently shown content can be saved and loading via the Save State and Load State dialogs. Extremely high-resolution imagery is supported by DisplayCluster. These images can be opened and processed in real time by simply opening them via Open Content. For best performance, an image pyramid can be computed and stored to disk for later use. This is accomplished using the Compute Image Pyramid dialog. A new directory will be created with the processed pyramid files. A .pyr file representing the image pyramid (for example image.jpg.pyr) will be created in the same directory as the original image. This pyramid file can be opened via the Open Content dialog. Note that the .pyr file can be renamed and relocated for convenience. If the pyramid directory moves however, the .pyr file will need to be edited to reference the new location. The stream name is a user-selected unique identifier to name the displayed window. X, Y, Width, and Height specify the rectangle on the desktop to stream. The origin (X, Y) is located at the upper-left corner of the desktop. The maximum frame rate of the stream can be adjusted as well. This can be used, for example, to limit the outgoing network bandwidth from the DesktopStreamer application. 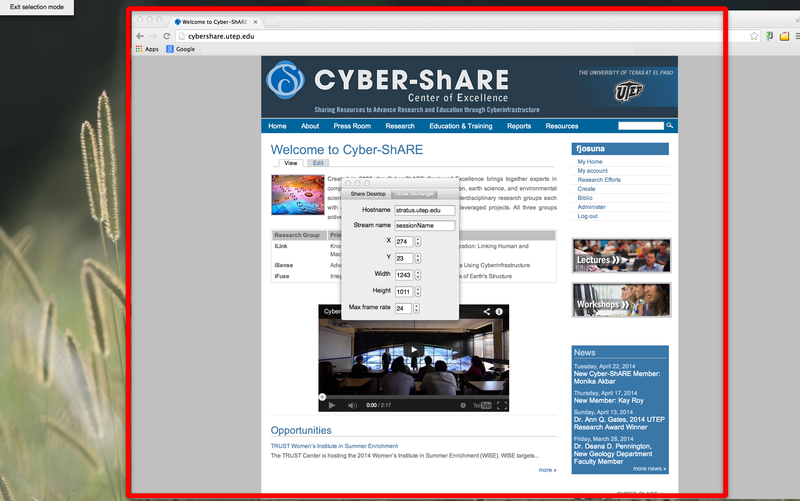 For convenience, the Show Rectangle button allows users to select the rectangle graphically. After rectangle selection, click the Exit selection mode button at the upper-left to hide the rectangle.